MILBANK, SD — Tim and Tana Mundwiler celebrated a 77-year family history of funeral service November 1, 2005, with an open house attended by 800 area residents at their new facility, 1003 East 4th Avenue in Milbank. 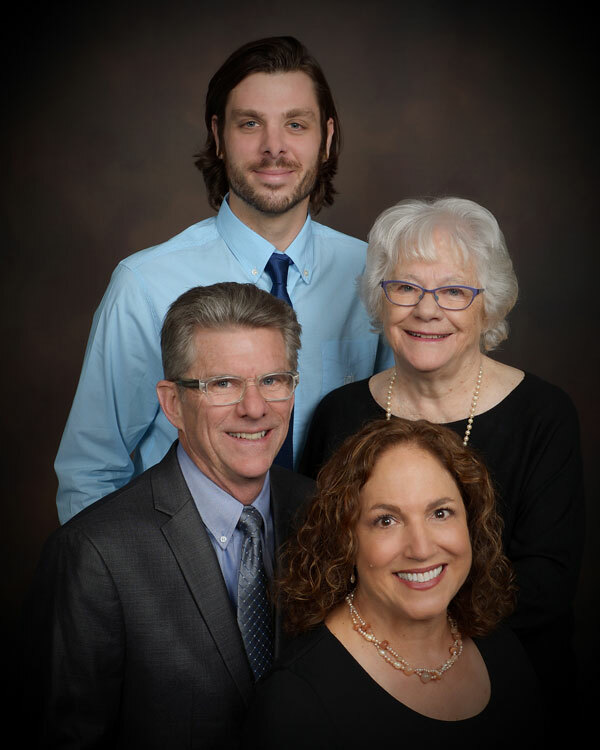 Tim and Tana Mundwiler acquired the family business in 1989 and represent the third generation of funeral directors in the Mundwiler family. Both were graduated from the Cincin- nati College of Mortuary Science. The Mundwiler Funeral Home serves Milbank’s 3,800 residents and a rural area within a 35-mile radius. A unique aspect of their personal service is the availability of a horse drawn carriage and team of black horses. The newly built 7,200 square-foot funeral home encompasses a lobby, cha- pel, hospitality room and merchandising center designed by architects Rice Stromgren of Minneapolis, MN. To assure that the preparation room met their objectives, the Mundwilers did further research and con- cluded that they would benefit by engaging the services of a preparation room design specialist. They learned that the specialized services of DST, Ltd. could increase the effi- ciency of the workspace and add to the value of their total investment. A combination of architectural design and exclusive OSHA compliant products offered by DST, Ltd. took the worry out of the building process. “From there, we decided to have DST, Ltd. design the entire preparation room. It’s a great work environment and we are extremely pleased. The ventilation system is wonderful and there is nothing we are not happy with,” Tim Mundwiler states. DST, Ltd. worked closely throughout the preparation room installation process with general contractor Hasslen Construction Company of Ortonville, MN. It was a successful collaboration. “Our embalming room is great to work in. We could not be happier with the way it turned out. Hats off to the Todd’s,” Tim Mundwiler concluded. Tim Mundwiler is the grandson of founder, Orrie Mundwiler, who began his service in 1928 in Milbank. In 1952, Orrie’s son, Jim and wife Dottie, who was one of the first women to become a licensed funeral in South Da- kota, acquired the business and subsequently opened the Mundwiler Faith Chapel in Wilmot for visitation services. The Mundwilers demonstrate their commitment to the future by participating in a Memorial Tree Program and have been recognized by the National Arbor Day Foundation for their efforts on behalf of trees and environmental stewardship. They have provided over 1,000 trees, locally purchased and planted, to their community. Civic activities for Tim Mundwiler include membership in the Fire Department and Rescue unit. He is a state fire instructor and also performs and teaches un- derwater recovery as well as teaching CPR for the American Heart Association. An additional responsibility is with the South Dakota Lions Club eye bank project.